We support positive outcomes through outreach, services, activities, and resources. We are Northern California's premier nonprofit organization providing comprehensive social services to nurture and protect autistic and other mentally-diverse youth, and their families. Join our Alliance. 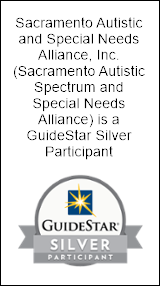 A brief welcome and introduction to the Sacramento Autistic Spectrum and Special Needs Alliance by our CEO Dave Gaines. Partner Message: Check out the Best Dentist London has to offer. Find out about our organization, mission, our services, and the results of our work. Ready to take the next step? You can stay up-to-date about us, become a contributor to our cause, or participate yourself.